When you are no longer able to manage at home without assistance, a member of an Aged Care Assessment Team (ACAT) can help you, and your carer, determine what kind of care will best suit your needs. In Victoria they are referred to as Aged Care Assessment Service (ACAS) however the service will be the same. You may be eligible for a Home Care Package provided in your own home, respite care or residential care in a nursing home, or Transition Care services after a hospital stay. To arrange an ACAT assessment you need to contact the customer service centre of My Aged Care on 1800 200 422. Alternatively your social worker, doctor or other health professional can do this for you. Referrals can also be made by family or friends, hospital social workers, local community service providers, residential facilities or any other person with a legitimate interest in the older person. When you are no longer able to manage at home without assistance, your local ACAT can help you, and your carer, to determine the type of care to best meet your needs. This guidance is offered whether you’re looking to move into an aged care home, requiring home care assistance, respite care or Transition Care. Entry into a Government subsidised aged care home will always require assessment and approval by an ACAT. There is no charge for the assessment as ACATs are Government-funded. Who is part of the ACAT? ACATs are teams of medical and allied health professionals who assess your physical, psychological, medical, restorative, cultural and social needs to help with access to appropriate levels of support. One member of this team (either a doctor, nurse, social worker, or other health professional) will visit you in your home or in hospital to assess your needs. 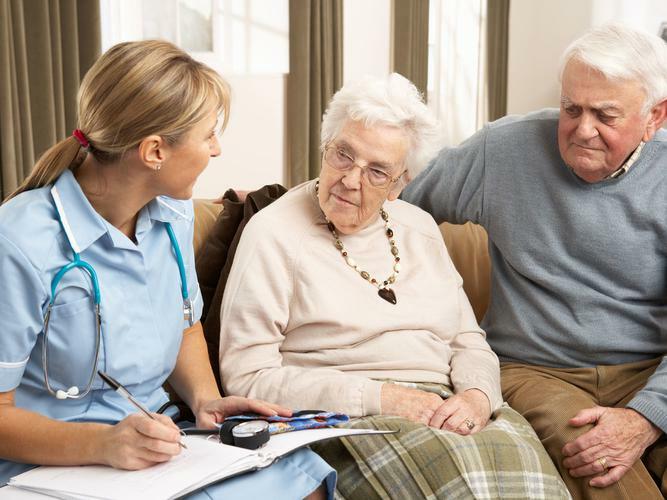 A member of your local ACAT/S will visit you in your home or in hospital to assess your needs.You will be asked a series of questions to work out how much and what sort of help you require with daily and personal activities and to determine the best care option for your situation. Carers, relatives or close friends are encouraged to be involved in the discussion. I’ve now been assessed. What’s next? The ACAT will discuss your assessment results with you and what home, community or residential care options are available in your area. If the ACAT/S considers you eligible for services, you will receive a letter that describes your assessment results which you’ll need to provide to the facilities or services you’re applying for. This will also include a referral code. The service provider of your choice will need this referral code to access your information and manage the referral. What if I’m unhappy with my assessment results? If you are unhappy with the recommendations, first talk with the person in charge of the ACAT; most concerns can resolved this way. If you cannot come to an agreement you can appeal the decision.